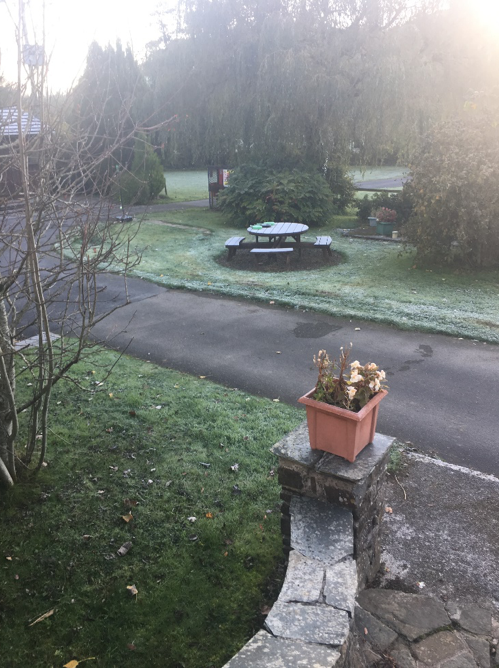 Waking up this morning to the first serious frost and seeing Willow Valley looking amazing, the frost had carpeted the grass and the sun was trying to climb over the valley. The ambience of the park changes daily, and the peace and charm of the valley become second nature. Insects and birds love the environment and the bubbling stream enhances the ambience.